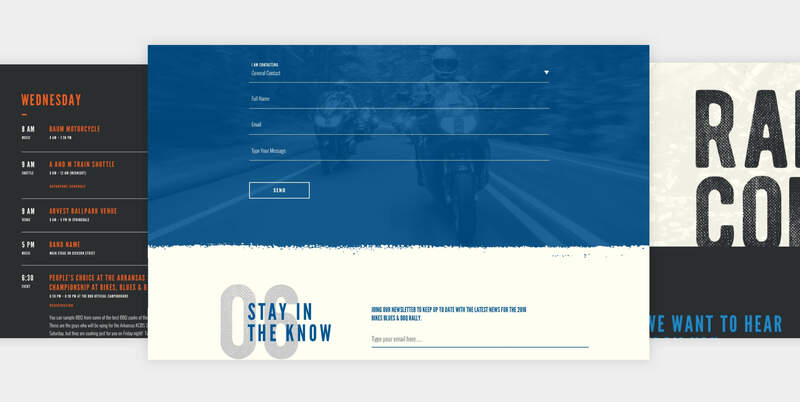 Bikes, Blues & BBQ came to us because of our experience and creative vision for re-interpreting a company's online presence. We were tasked with revising the aging rally identity and logo as well as completely re-imagining the website and user experience from scratch. 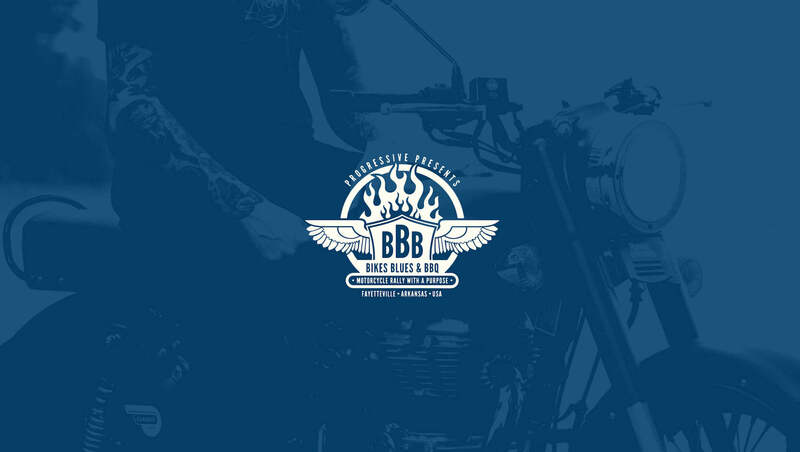 Bikes, Blues & BBQ is the world's largest charity motorcycle rally that benefits women, children, and the underserved members of the Northwest Arkansas community. Over the course of 19 years, they have given over $2 million to local charities. The first Bikes, Blues & BBQ rally was held in the year 2000 with just over 300 riders. Today, Bikes, Blues & BBQ is the largest motorcycle rally in the United States benefiting local charities. Last year, it was estimated that over 400,000 people attended the rally from all 50 states and many other countries. While the Rally has grown at a rapid pace, their website and identify had fallen behind. The previous website had become overgrown, difficult to navigate, and was a challenge for rally-goers to find the information they needed. 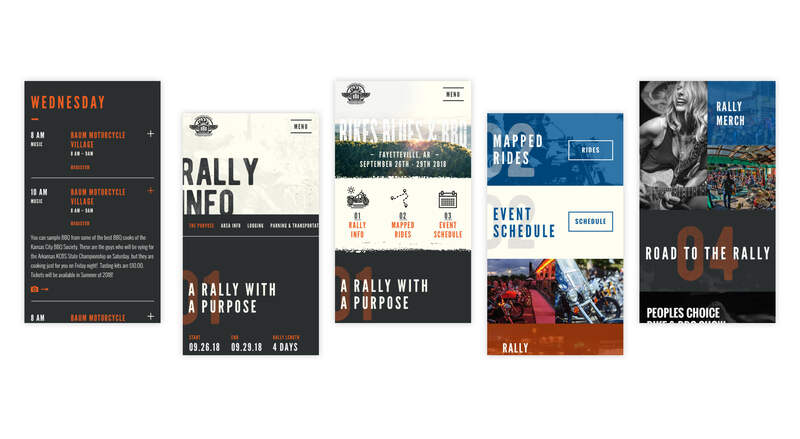 We were tasked with updating the visual identity of the rally with a revised logo and color palette along with totally re-thinking the web experience. The Bikes, Blues & BBQ website is the main source of information for rally-goers both before and during the rally. Event times, parking information, ride maps, and train schedules all live on the website - making it the central information hub. The challenge was to distill a very large amount of information down to extremely manageable and expandable formats within an intuitive and easy-to-use mobile experience. We accomplished this by designing a macro over micro user experience. This means that the major (macro) details are always visible with the smaller (micro) details available by expanding a section. This means a very large amount of information can be quickly scanned by a user before drilling down into the details. While during the rally, mobile browsing is king, prior to the rally there is still a sizable portion of traffic that comes from desktop computers and laptops. With more screen real-estate to work with, our creative design and information architecture lets the visuals truly stand out. It's a visually impactful browsing experience that elevates the Bikes, Blues & BBQ brand to new heights. 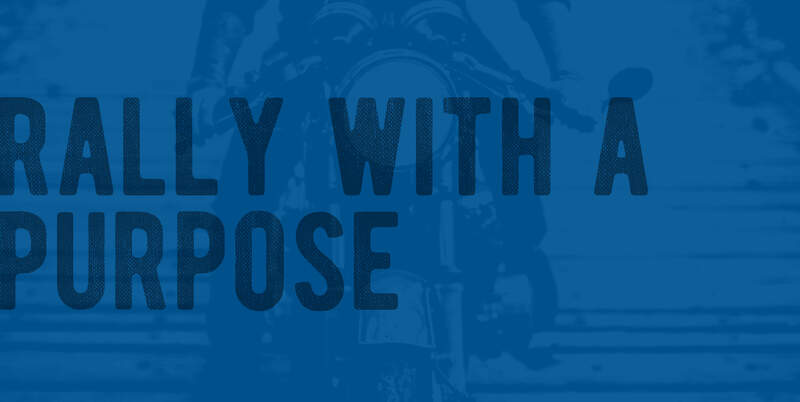 For the homepage, rather than opening with the expected image of a biker, we opted to focus on the destination. The Ozark Mountains - an epic experience for a motorcycle rally.